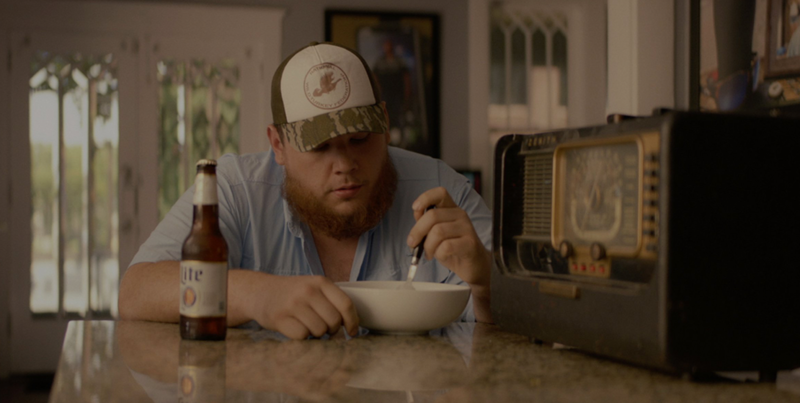 Multi-platinum singer/songwriter Luke Combs releases his most personal video to date today for his Top 30 and climbing single “She Got The Best Of Me”. Combs takes centerstage in the video based on the true story of the journey his songs have carried him on – telling the story of his career from the birthplace of his music in Boone, N.C. to miles on miles of touring and moving to Nashville culminating in the present day success of his Platinum debut album This One’s For You , three record-setting No. 1 singles, multiple award show moments and the fan growth from rural field parties to sold-out arena crowds. Combs and TA Films, the team behind his first three music videos, put intentionality into every moment to create a scavenger hunt for fans throughout the video of milestone moments from Combs’ story. Woven into the video narrative are nods towards Combs’ lyrics, cameos of band members & songwriting friends, throw backs to Boone, N.C. and This One’s Fori You Too highlights. The concept is particularly special for “She Got The Best Of Me” as the track has been a bubbling viral fan favorite since Combs first co-wrote and released it in 2014 on his Can I Get An Outlaw? EP prior to moving to Nashville, Tenn.
Combs performing with “She Got The Best Of Me” co-writers, Channing Wilson & Rob Snyder, at the songwriter’s night Revival at Tin Roof in Nashville where he first met both songwriters. The Klondike Cafe sign – the location of Combs’ very first video for “Let The Moonshine”. The stickered guitar Luke is playing is the first one he learned to play on and wrote his first EP on. Combs recently culminated a week of first where he debuted at Madison Square Garden to a sold-out crowd on the High Noon Neon Tour with Jason Aldean and joined Lollapalooza as the only country artist on the bill for a packed-out performance to a sea of fans. For more on Combs and to catch him on the road, visit LukeCombs.com.